Drew Barrymore comes from a family of actors that not only includes her famous relatives—her great-aunt Ethel Barrymore, her great-uncle Lionel Barrymore and her grandfather John Barrymore—but stretches back at least 400 years to her fourth great-grandfather Thomas Haycraft Lane and fourth great-grandmother Louisa Rouse Lane, who were traveling actors. The name itself is a composite of her two acting families, the Drews, and the Barrymores. With so many generations of actors, acting was the family business and an inevitability for many of them. 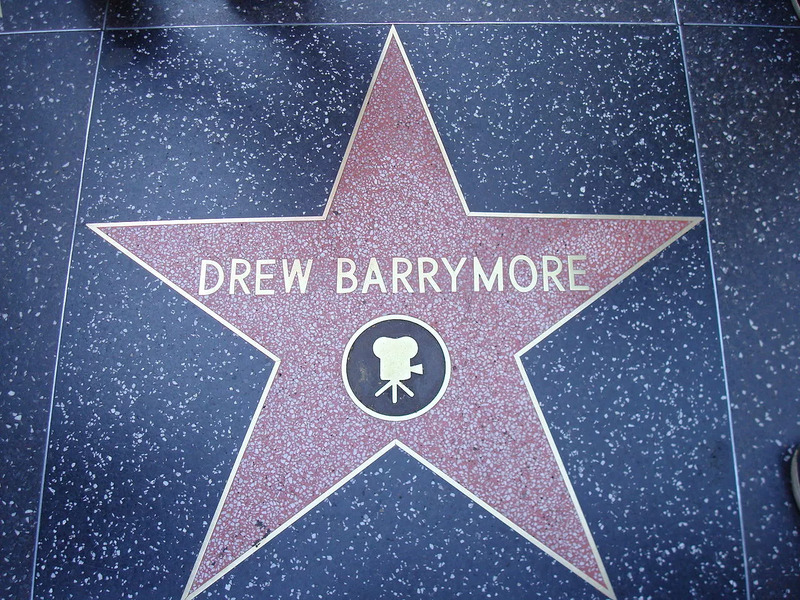 Drew Barrymore’s star on the Hollywood Walk of Fame. Like Drew Barrymore, Thomas Haycraft Lane and Louisa Rouse Lane’s grandchild Louisa Lane Drew started acting at a young age. She was considered a child prodigy, playing The Duke of York in Shakespeare’s Richard III opposite actor Junius Brutus Booth (aka the father of John Wilkes and Edwin Booth) in one of her first roles. She went on to act with many of the great actors of the period. According to her autobiography, she enjoyed acting, though she probably didn’t have much of a choice in the matter. At various times throughout Louisa’s childhood, and later after her third husband, Irish American actor John Drew, died, she had to support her family on her own. 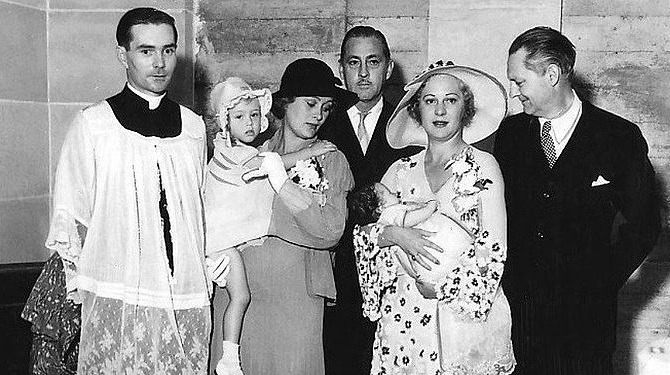 Multiple marriages was another thing Louisa and some of her descendants had in common—Lionel Barrymore married twice, John Barrymore four times, Drew Barrymore’s father John Drew Barrymore four times and Drew Barrymore three times. By the time John died, they had three children, including the renowned Shakespearean actor John Drew Jr. and actress-comedian Georgiana Drew Barrymore, and Louisa had been working as the stage manager of the Arch Street Theatre in Philadelphia for a year. A seasoned actress who was also well versed in the behind-the-scenes business details, Arch Street Theatre had many successful seasons under her leadership. Her daughter Georgiana and Georgiana’s husband, Maurice Barrymore, were the parents of acting legends, Lionel, Ethel, and John Barrymore. Maurice Barrymore was a stage name; his real name was Herbert Blythe. Herbert’s father, who was a surveyor for the British East India Company, initially thought his son was going to become a barrister, and like many people of the period, did not think highly of the acting profession. Herbert Blythe took on the stage name Maurice Barrymore to save his father the embarrassment of the family name being associated with acting. A couple of years later, the India-born Brit emigrated to the U.S. 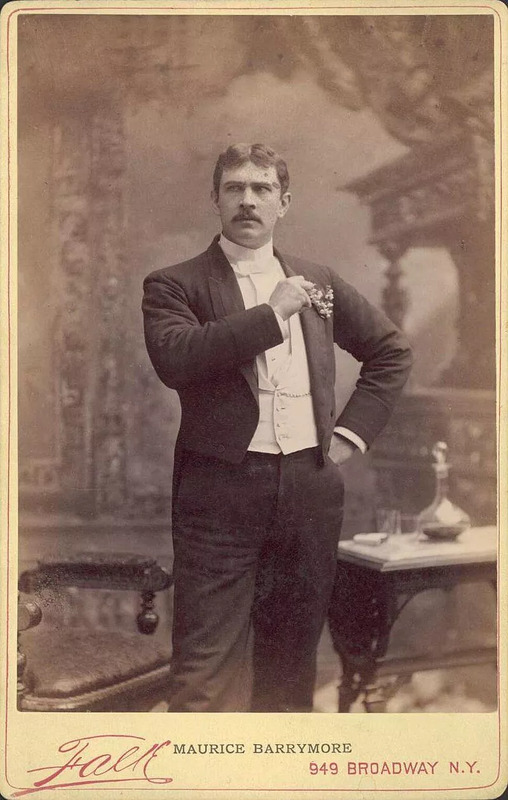 He became a well-known stage actor and was one of the first Broadway stars to try vaudeville. Actor Maurice Barrymore as Wilding in Captain Swift (1888). With Georgiana and Maurice often touring, Louisa helped raise Lionel, Ethel, and John. When Georgiana passed away at the age of 37 from tuberculous, Lionel and Ethel went in search of acting jobs. None of them had been particularly interested in the profession when they were younger—Lionel and John wanted to be artists and Ethel a pianist. Lionel and John made brief attempts at being artists, neither achieving enough success to make much of a living. Meanwhile, Ethel is frequently quoted as saying, “I always wanted to be a pianist, but I had to eat, and acting seemed like the natural thing to do since the family was already in it.” She quickly became a successful actress, occasionally supporting her father and brother John. Maurice was a colorful character—he owned a farm with exotic animals, occasionally wrote plays, often indulged in affairs, and had nearly died after a strong hand of poker led the losing party to shoot Maurice in the chest. All the while he continued to perform on stage, until one day he went off script and, as the New York Times put it, “suddenly dropped his lines and began to rave.” It was discovered that he had an advanced stage of syphilis, a disease that if left untreated can cause damage to your brain, heart and nervous system. When he became violent, John took him to Bellevue. Ethel later transferred him to Amityville, where he died four years later. Like his sister and brother, he was a lauded actor of both the stage and screen. He loved doing Shakespeare, and his striking profile earned him the moniker “the profile.” John was a leading man known for roles like Dr. Jekyll and Mr. Hyde, Lionel a character actor who is perhaps best known today as Henry Potter in It’s a Wonderful Life, and Ethel could play anything, though in her later years she often starred as bedbound sick characters. Lionel, Ethel, and John had each performed with various family members on the stage throughout the years, and all three starred in one movie together, Rasputin and the Empress. About 20 years later, Lionel and Ethel came together again for the movie Main Street to Broadway (John had already passed away by then). 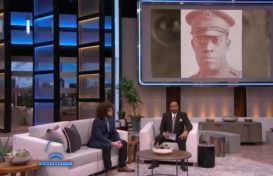 Lionel and Ethel went on to win Academy Awards and John received a Rudolph Valentino Medal in 1925, a notable achievement as it was the first awards ceremony to recognize artistic accomplishment in film and Valentino’s premature death the following year made it the only Valentino Medal ever given out. All three siblings, John’s son John Drew Barrymore, and granddaughter Drew Barrymore have stars on the Hollywood Walk of Fame. John Barrymore also had his handprints, footprints, and profile-print immortalized at the Grauman’s Chinese Theatre. Lionel and Ethel Barrymore had other talents as well. Barrymore directed, composed music, wrote books and was a graphic artist and horticulturist. Ethel Barrymore wrote short stories and plays, and John mainly dedicated himself to performing and alcohol. His drinking made him erratic, late to work and led to memory problems. By the end of his career, he could barely remember his lines. At this point, few roles were coming his way, and the ones that did were were parodies of himself, but his costly divorces meant he needed the work. John was only 60 when he died from cirrhosis of the liver and kidney failure in 1942. 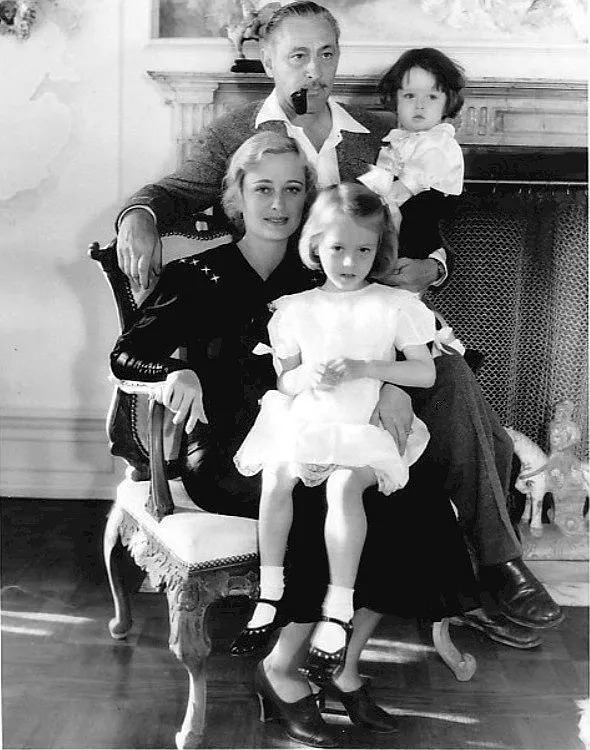 John Barrymore and family in 1934. Standing: John Barrymore holding John Drew Barrymore. Seated: Dolores Costello Barrymore with Dolores Barrymore on her lap. Many of John’s descendants struggled with addiction as well. His children Diana and John Drew Barrymore both had some success as actors before alcohol and drugs overpowered their careers. Diana died of an overdose at the age of 38 and John Drew of cancer at the age of 72. John Barrymore’s third child, Dolores Ethel Mae Barrymore, did not go into acting and as of 2019 is still alive. 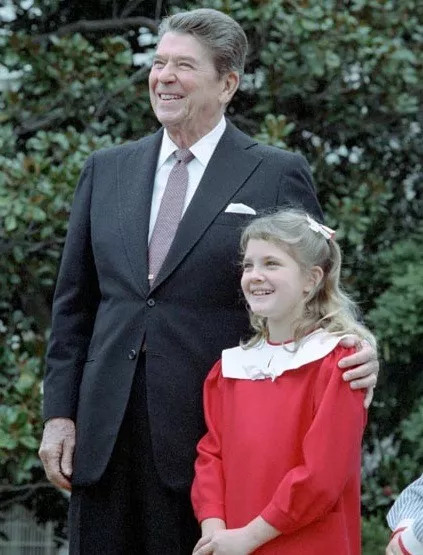 President Reagan with Drew Barrymore at a ceremony at the White House (1984). She went on to reinvent her career, once again gaining popularity with movies like Scream, The Wedding Singer, Never Been Kissed and Charlie’s Angels. She’s since added screenwriter, director, and producer to her list of credits won a Golden Globe for her role in Grey Gardens and is currently playing a real estate agent-turned-zombie in the Netflix TV show Santa Clarita Diet. She’s also written two memoirs and owns a clothing and cosmetic line. Acting was a necessity for her, just like it was for many of her relatives. In her case, it provided her with stability that she couldn’t find in the rest of her life. Drew Barrymore at the 2007 Music & Lyrics London premiere. “I think films saved my life. I mean, I come from a family that has done acting for 400 years. But film sets are a bizarre world. For me, it was better than my circumstances. It was a savior,” she said in an interview with The Guardian. She does not plan on letting her children go into acting, at least as kids. Should they choose to become actors later in life, however, she’d be supportive. It remains to be seen whether Drew Barrymore’s children will go into acting or not, but with generations of actors marrying actors, a profession that isn’t related to the entertainment industry may be the more radical choice for the family. Even if they do end up becoming actors, there will be at least one difference though—it will be because they choose to be, not because it feels like their only option.